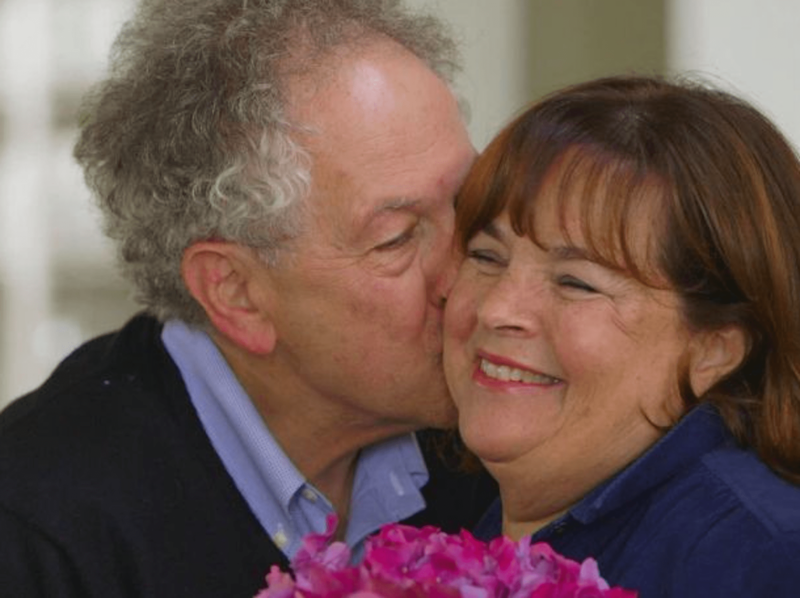 Ina and Jeffrey Garten have shared a 49-year love affair (as of today, happy anniversary!) that has spanned the world and captured the imaginations of millions of foodies and cooks across the country. The strength of their relationship would be utterly disgusting if it weren’t so wonderful: They both support each other’s highest ambitions, they both respect each other’s time and space and they both lean into each other in the most freaking adorable way in all of their pictures. In the fall of 2017, Ina released her 10th book, Cooking for Jeffrey, which basically solidified what we’ve all been thinking: They are truly in love, and Ina makes the meanest brisket in the land. But I have to wonder: Do they fight like all other couples do? They can’t be totally perfect. Maybe their fights look a little something like this. Jeffrey: Do you remember when we traveled through France in the early 1970s, living in a tent and spending all of our money on fresh food from exotic city markets, which you would transform into delectable, authentic dishes on a tiny camping stove? Ina: Yes, those were such wonderful days, spent just loving each other in the clear, warm light of the Paris spring. Jeffrey: I remember once you made an amazing boeuf bourguignon with the most tender cuts of filet, fresh spring carrots, delicate pearl onions and wild mushrooms, which you picked from the mossy floor of the nearby forest — all served atop a fresh sourdough baguette. Ina: The baguette wasn’t sourdough. Jeffrey: I can taste it like it was yesterday. It was crusty, thinly sliced sourdough. Ina: I think I can remember the kind of bread I ate in a tent in Paris with my soul mate 45 years ago, Jeffrey. Jeffrey: I might sleep on the couch tonight. Ina: That sounds like a simple, elegant solution. More: 12 seasons of Food Network Star winners — Where are they now? Jeffrey: This item on the grocery list you gave me says that I should plant some thyme, nurture it lovingly throughout the spring months and then pluck the most tender and aromatic leaves from its stem for the soup you’re making tonight. Ina: Was that a question? Jeffrey: Well, do you mind if I just got store-bought? It’s $3.99 for thyme sprigs. Ina: Fine. Store-bought is fine. Jeffrey: Do you mind very much if, instead of placing three five-pound chickens in a 20-quart pot with a bouquet garni of fresh herbs in order to make homemade chicken stock, that maybe I just got… store-bought? Since I am at the store? Ina: You can purchase store-bought chicken stock if you want. Just never come home with it. Ina: I hope you and your cans of chicken stock are happy. More: Why all the hate against Food Network Star‘s Giada De Laurentiis? Jeffrey: Do you want to grab lunch with me today? Ina: Sorry, dear. I am having a causal lunch with five of my closest, most attractive gay friends from around East Hampton. Nothing special, just roasted salmon Niçoise, my fun, modern spin on borscht and double coconut cupcakes. Jeffrey: That sounds a bit more than a casual lunch. Ina: Don’t be ridiculous. The table setting is extremely casual, featuring handfuls of sand dollars, breezy linen napkins and a simple, improvised centerpiece of entangled branches of beach wood. Jeffrey: I feel like when we have a casual lunch, we just eat sandwiches over the sink. Ina: Don’t be like this. Jeffrey: Maybe you shouldn’t be like you’re being. Ina: This is terrible. I hate this. I am sorry. You’re right. It’s really pushing out of the casual lunch category. Jeffrey: It’s OK. I was just feeling a little jealous of your dozens of close-knit friendships with young, attractive men. Ina: Can I roast you the most perfectly roasted chicken? Jeffrey: Only if we can eat it over the sink, my forever love. Ina: I love you more. Jeffrey: No, I love you more. Ina: Don’t freaking start with me, Jeffrey. Jeffrey: Empirically speaking, I love you more. Ina: I said don’t start. It’s obvious to everyone that I love you more. I make you souffles you don’t even ask for. The end. Jeffrey: But I love you more. I always love eating your souffles. Ina: I am really, really upset over this. Ina and Jeffrey: I want a divorce. Ina and Jeffrey: I love you more. Ina and Jeffrey: Jinx again! This article was updated on Dec. 22, 2017. It was originally published Jan. 30, 2017.